The Great Brands Sneaker Sale happens on August 1-5, 2018 at TriNoma Activity Center. 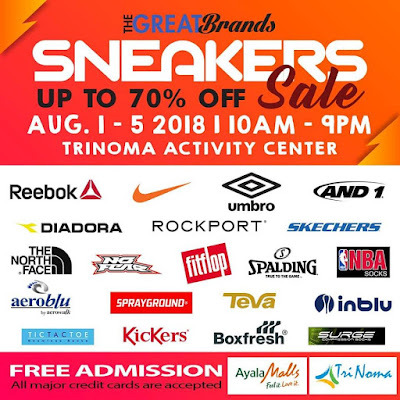 Enjoy up to 70% discount from participating Sneaker brands like Reebok, Nike, Skechers, Kickers, Rockport, Fitflop, The North Face, and many more. For more information about the event, please call 239-3807 or 399-2935.